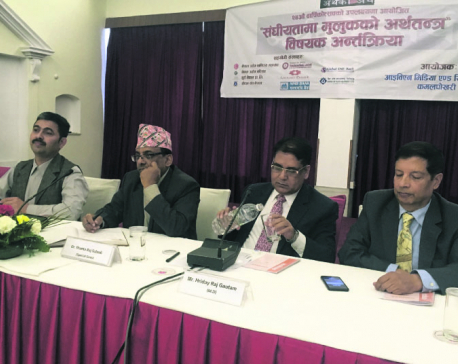 KATHMANDU, Feb 3: Two months after the results of the provincial assembly elections, a federal province has its own government a first after the implementation of federalism in the country. Dor Mani Paudel formed a three-member cabinet in Province 3 on Monday after taking the oath of office from province Governor Anuradha Koirala. Paudel has become the first individual to assume the post of chief minister in Nepal. 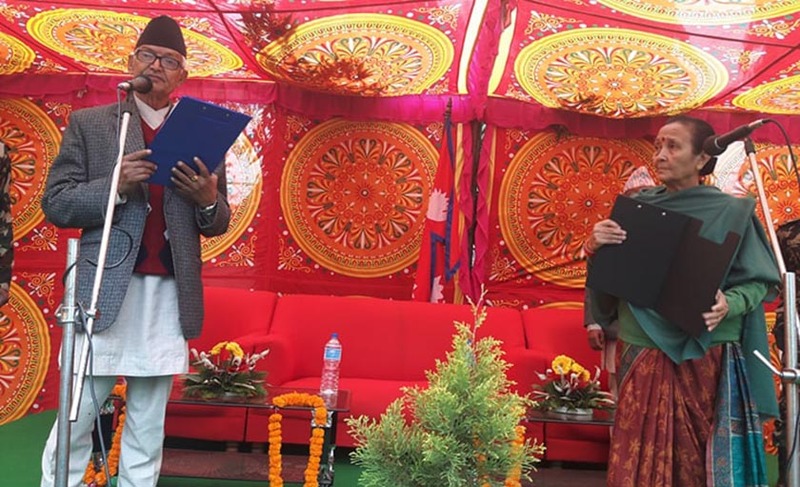 He appointed Keshav Sthapit of UML as Physical Infrastructure Minister and Salikram Jamakattel of CPN (Maoist Center) as Internal Affairs Minister later on Monday. UML has a single-party majority in the provincial assembly, though its left alliance partner Maoist Center is also supporting the ruling coalition. Meanwhile, the other six provinces have intensified preparations for forming their provincial governments by this weekend. Governor of Province 4 Baburam Kunwar plans to administer the oath of chief minister to Prithvi Subba Gurung of UML on Wednesday. Kunwar appointed Gurung as chief minister on Monday after the latter submitted a letter of support of 39 out of the 60 provincial assembly members. Sherdhan Rai of UML is to take the oath of office as chief minister of Province 1 on Thursday. Province 1 Governor Govinda Subba informed that he plans to administer the oath to Rai Thursday. Rai is likely to appoint Jeevan Ghimire, Hikmat Karki and Rajendra Rai as ministers in the provincial government. Chief minister candidate for Province 5 Shankar Pokhrel of UML is also likely to take the oath of office Thursday. 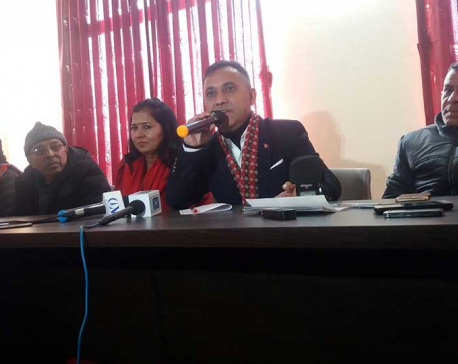 Pokhrel informed that he has already submitted a letter to the governor with the support of the Maoists for his candidacy. Province 6 is likely to get its government after the appointment of Mahendra Bahadur Shahi of the Maoists as chief minister, also on Thursday. Shahi is all set to submit the signatures of UML and Maoist provincial assembly members to the governor to pave the way for his appointment. According to Dhan Singh Chhetri, aide to Province 7 Governor Mohan Raj Malla, the governor has convened an all party meeting for Wednesday prior to appointing the chief minister of the province. He said the chief minister will be appointed within a week. Province 2 is likewise all set to form the government this week. Federal Socialist Forum Nepal (FSFN) leader Lalbabu Raut is going to be appointed as chief minister with the support of Rastriya Janata Party Nepal (RJPN). The two parties have agreed to appoint three ministers each in the provincial government.